I’m a radio fanboy, and I’m not afraid to say it. Sure, my iPhone has a modest music collection, and I’m even a Spotify listener. However, nothing beats jumping into the car and listening to the static-filled FM waves while going down the highway. Of course, after looking at my gasometer as of late, I may want to reconsider my driving habits. Speaking of the iPhone and Spotify, it is a little disheartening to think that radio could give way to these newer, sexier modes of listening to (and sharing) music. But even still, radio has fought harder battles before. Televisions came along, and stations survived. Even with satellite radio, the AM and FM frequencies didn’t give up. 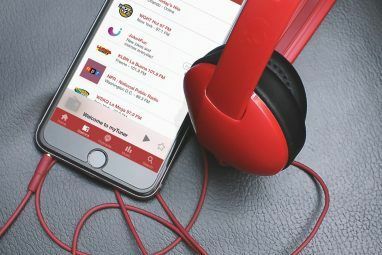 However, I bring to you a new form of radio that brings it to your iPhone with the convenience of Spotify – TuneIn Radio. TuneIn Radio uses your location to find local radio stations that are in your area. 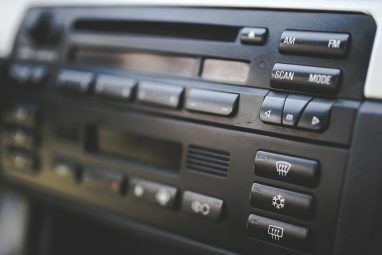 Using wi-fi or your data (with data statistics for both), you can can listen to these stations in crystal clear, non-crackly car-speaker quality for however long you want. Even better, much like television DVRs, you can actually rewind and pause each program you listen to. However, you don’t have to listen to stuff located in only your area. Since it uses the Internet to find these stations, you can listen to anything that you want to. In fact, TuneIn boasts that it offers over 70,000 radio stations and 2 million on-demand programs. You couldn’t even listen to all of that in your lifetime! (let’s not get morbid, though). Stream selections (suited to your Internet speed). As you can tell, all of the options mentioned here are quite useful (except for perhaps the clock display). Specifically, I have to say that having a sleep timer and a wake-up alarm is pretty nice. Music plays a big role in many people’s sleep schedules, and it can often get a little repetitive listening to one’s own music library every night and morning. With radio, you can hand the song selection over to your favorite DJs. I will also say that having station schedules and playlists is a wonderful thing. The latter definitely solves those situations where you hear a great song on the radio, but you just can’t remember the name of it. However, all of these schedules and playlists are available only if the station makes them so. I found several stations without them, so don’t expect them to always be there. 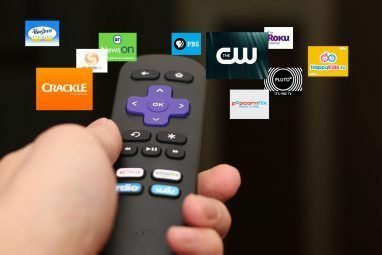 Seeing that TuneIn is only in control of making the programs accessible as opposed to developing the content, you really have to rely on the station as far as this goes. With all of the stations that are available on TuneIn, it could get a little hard to keep up with everything. In an effort to combat this, the app offers the ability to save your favorite stations to a list (with the option to add custom URLs). You can also save the titles of your favorite songs so that you can buy them later and find other stations that play them. There’s also the option to create an account with TuneIn, but the app works just fine without it. Doing so will simply help with syncing your favorites to every device you use the app with. Regarding favorited songs, there will already be a big list of default “favorite” tunes when you open the app for the first time. After adding my first tune to this list, I noticed that all of the defaults (most of which I didn’t listen to) were still there. Admittedly, it was a bit frustrating to see this. However, by the time I added a second song, they were already gone. Perhaps it just took the app a few minutes to update, but I’m really not sure. Additionally, you can share what you’re listening to via Facebook, Twitter, and even email. Unfortunately, this means handing over your social media account information, but if you’re into sharing music, then this feature is definitely for you. Upon updating your status, TuneIn will also upload the album art (which is pretty cool). Finding stations to listen to is fairly easy, and it’s categorized like you would expect. There’s nothing really special here. However, there are a few podcasts here and there, so that’s where you will find your on-demand entertainment. As an extra note, TuneIn plays in the background of your apps. Rest assured that you can play Angry Birds while listening to your favorite tunes (I did. It was fun). You can also work with AirPlay receivers to play your favorite shows and music on devices other than your iPhone. I’d like to specifically mention the app’s Car Mode for those times when you just don’t want to get pulled over by the police while driving. You and I both know that you were simply changing the station and not texting, but Officer Johnson probably doesn’t. Fortunately, Car Mode offers really big buttons to help you avoid potential accidents and to listen to your favorite, recent, and recommended stations. There’s also a search function, but it would be really hard to search for anything while driving. Personally, I think it would have been nice to see a big button for an automatic vocal search option, but alas, you are simply taken to the iPhone’s default search function if you press it. Yes, you can use the already available speech-to-text function, but that really isn’t driver-friendly. Over-all, I have to say that TuneIn is a solid app with lots of promise. With tons of features yet simplistic functionality, this is a great app for music-lovers everywhere. Also, if you like TuneIn Radio, you can purchase TuneIn Radio Pro for $0.99 so you can record your programs and ditch the ads. What has your experience with TuneIn Radio been like? What other radio-related apps do you use? "iPhone / iPad / iPod"? This is just the iOS review.